Being specific is terrific! 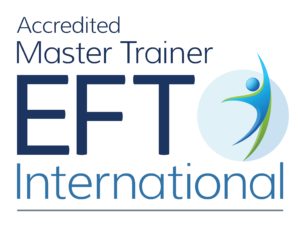 Many of you will have heard that endorsement and know that we are always being encouraged to get to specific events with EFT. Well, yes, being specific is terrific and Gary’s article in the Tutorial series is a must read for all keen tappers but I’d like to speak up for some subtle ways of being general. In being specific or general it is not the words that are spoken but what those words generate within the person that the tapping is working on. So even when general words are used, if these access specific memories, thoughts or beliefs, then the effect will be specific. Here are a couple of examples. A young woman, Liz, was sent to me by her chiropractor as she had pain across her shoulders that did not respond to treatment. I asked her to describe the pain in as much detail as she could and she said it was like being torn apart. She used the metaphor of the Levis jeans logo with two horses pulling a pair of jeans apart. We tapped with “torn apart by two horses” and after a couple of rounds she laughed and said I know who the horses are. She and her husband were between houses and had moved in with her sister for a few weeks that had become months. She loves her husband and sister and they hate each other. She had felt torn between them and had tried in vain to keep the peace. So now we got specific and tapped on the fights between her husband and sister till she said “they are grown ups, its up to them, its only temporary, they can sort it out, I’m keeping clear, I don’t have to get in the way” and with that the pain was completely gone how ever she moved to try and find it. This is an example of where getting the specific words that are the metaphor of what the body is holding allows the message of the body to be received and the emotion to be released. Once the message has been received the symptom is no longer necessary. Had we tapped on “this pain in my shoulder” then it is likely that the pain would have diminished and returned as soon as she got back home to the fights between her sister and husband.